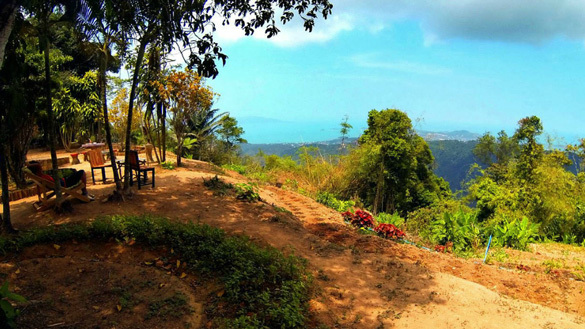 Jungle Route 360 is located on the highest point of Koh Samui (613m) and has a 360 degree panoramic view over Koh Samui. Whether for a romantic sunset scenery or for a full afternoon, come and enjoy the breathtaking view and spend a special moment in this place surrounded by nature. You will see the neighbor island Koh Phangan, Koh Tao, Angthon Marine Park so as all the neighboring cities like Bophut, Chaweng, Maenam and Choeng Mon. Jungle Route 360 offers traditional Thai dishes and can be booked for special events too. In addition to the panorama, you will have the opportunity to discover the unique Teepangkorn Temple with its large statue of Buddha and its museum!